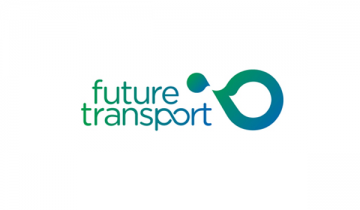 Minister for Transport and Infrastructure Andrew Constance said the first focus area for the Digital Accelerator will be exploring mobility as a service for transport customers in NSW. Mobility as a Services (MaaS) is the concept that all travel options can be accessed through a single platform or app, allowing customers to have the ideal travel experience by empowering them to plan, book and pay for their travel in the one place. 'Out of this partnership we look forward to seeing what developers and innovators will be able to come up with, whether that’s better management of network capacity or improved mobility and connectivity,' Mr Constance said. 'Sydney is known as Australia’s Fintech capital and now we want to put in on the map globally as the capital for Transport Tech. 'We are partnering with some of the most innovative banks, technology and telco companies in the world, continuing our commitment to opening up the communication lines between innovators and government. 'The City Innovate partnership allows us to connect the best entrepreneurs and innovative practices from Silicon Valley and San Francisco with Sydney to forge a global alliance around solving Transport problems,' Mr Constance said. In February, Premier Gladys Berejiklian officially opened the Sydney Startup Hub, the biggest of its kind in the Southern Hemisphere with 2,500 seat capacity and 17,000 square metres of space. Transport for NSW advises it is working closely with technology leaders in the start-up space on a daily basis. Since the first hackathons in 2012 to the launch of the Open Data program in 2016, it has committed to provide open data to the developer community to better serve customers and create digital transport solutions. 'This has resulted in innovations for customers such as real-time apps, through the Digital Accelerator our ability to rapidly prototype solutions will be further enhanced by tapping into the 2,500 entrepreneurs based at Wynyard Green,' Mr Constance said.